If you are faced with an injury or disabling condition, you need the type of experience that can manage all aspects of your legal claim and put your mind at ease. The Lawrence Law Firm represents injured people in all related claims — including personal injury lawsuits, claims for Social Security Disability Insurance and workers' compensation claims. The Lawrence Law Firm, with offices in Kissimmee, Tampa and Orlando, Florida, not only boasts a former insurance defense attorney, but also an ex-adjudicator with the Social Security Administration: Chad Lawrence. Chad's rare combination of capabilities can be utilized to help you reach your goals. Attorney Chad Lawrence has been peer-rated AV-Preeminent* by Martindale Hubbell. The Martindale-Hubbell Bar Register is limited to only the most distinguished law practices. The "A" signifies the highest level of legal ability, while the "V" denotes "very high" adherence to the professional standards of conduct, ethics, reliability and diligence. An *AV-Preeminent rating is a significant accomplishment — a testament to the fact that a lawyer's peers rank him or her at the highest level of professional excellence. A lawyer must be admitted to the bar for 10 years or more to receive this rating. 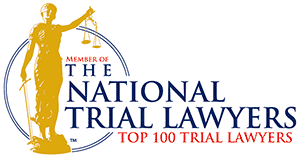 In addition, attorney Chad Lawrence is listed in the Martindale-Hubbell Bar Register of Preeminent Lawyers. Such a designation indicates that Chad Lawrence is ranked in the top 5 percent of all attorneys in the country. Chad Lawrence, who was admitted to the Florida Bar in 1987, practices primarily in the areas of personal injury, Social Security Disability and workers' compensation law. His trial experience extends to claims and appeals related to motor vehicle accidents, products liability law, medical malpractice, Social Security benefits, workers' compensation fraud, subrogation, government employees and slip-and-fall accidents. Click on the link below to learn more about Chad. Contact The Lawrence Law Firm for a free case evaluation. We are here to answer your questions.